Stuttering is a complex speech issue that affects about 1% of adults. People who stutter may become socially anxious, fear public speaking, or worry their stuttering will undermine their performance at work or school. Research shows that stuttering is not a mental health diagnosis, and anxiety is not the root cause of stuttering. Anxiety can, however, make stuttering worse. This can create a vicious feedback loop in which a person fears stuttering, causing them to stutter more. In some cases, anxiety about stuttering may disrupt a person’s relationships and ability to communicate. The hallmark of stuttering is repeating certain sounds, syllables, or words. It exists on a continuum from mild to severe. In some people, stuttering is so mild that others might not notice it at all. For a minority of people who stutter, the condition can be so severe that it makes it extremely difficult to communicate at all. Most people who stutter fall somewhere in the middle. They stumble over words and repeat certain syllables. They may feel anxious about speaking, and others may notice their speech is not typical. But they’re able to speak to others, and others are able to understand what they say. Developmental stuttering is the most common type of stuttering. Common among children ages 2-6 who are learning to speak, it usually goes away on its own. Five to 10 percent of children stutter at some point, and at least 75% outgrow it. For the remaining 25%, stuttering may continue to be a problem in adulthood. Developmental stuttering is often much worse when a child is anxious. The speech of children who stutter may improve when they speak for longer periods. This means the first few sentences of a conversation may be slow and halting, but as a child become more relaxed, they may stutter less. Developmental stuttering runs in families. This suggests a genetic link, and researchers have identified a few genes linked to stuttering. However, the specific causes of and triggers for developmental stuttering are still not fully understood. Neurogenic stuttering is much less common than developmental stuttering. It’s due to a problem with the brain caused by an injury, developmental issue, or disease. For example, some people develop a stutter following a stroke or a traumatic brain injury (TBI). Although anxiety may make neurogenic stuttering worse, anxiety is more closely tied to developmental stuttering. Negative experiences with others can fuel a person’s anxiety about stuttering, and this anxiety may make stuttering worse. 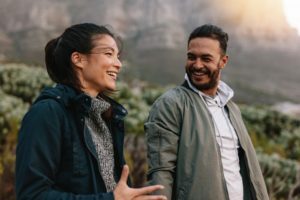 For many people, verbal communication is an important way to connect with others. Stuttering makes this communication more difficult. This may trigger anxiety, especially abut social relationships. A 2009 study found stuttering increased the odds of being diagnosed with anxiety by six- to seven-fold and increased the likelihood of a diagnosis of social anxiety 16- to 34-fold. Another 2009 study found that 50% of adults who stutter have social anxiety. Stuttering may change the way people relate to the person who stutters. Children who stutter sometimes experience bullying and isolation. Adults may struggle to feel heard at work or in high-pressure situations, such as speaking publicly at an academic conference. Negative experiences with others can fuel a person’s anxiety about stuttering, and this anxiety may make stuttering worse. A person who stutters may also have false beliefs about stuttering, such as that stuttering necessarily means others won’t take them seriously or listen to them. This fear may affect major life decisions such as where to go to school and which jobs to seek. For example, a talented researcher might opt not to speak at a conference or accept a professorship because of their fears about public speaking. Relaxation exercises. Meditation, deep breathing, and positive self-talk may help. Support groups. Spending time with other people who stutter through a support group can make stuttering feel less isolating, alleviating anxiety. Practicing social skills. Some people who stutter deliberately avoid social situations because of their anxiety. This can undermine their social skills, making them feel more anxious in social situations. Finding opportunities to practice communication may help. Education about stuttering. Understanding what stuttering is may help some people feel better about their stuttering. Create a relaxed environment around speech and communication. Don’t talk over your child, correct their speech, or ask them to speak more quickly. Attentively listen to your child while they speak. Children who stutter may worry the person to whom they are speaking is annoyed or bored. Give your child time. Don’t correct your child’s stutter or give them the word they appear to be looking for. Encourage your child to talk about their feelings about stuttering. Reassure them that stuttering is common and offer support for the anxiety they feel. Consider family therapy. Counseling in a family setting can help destigmatize stuttering. The right therapist can offer each member of the family specific strategies for supporting a child who stutters. Stuttering can be treatable. Many people see immense improvements in their speech after seeking help from a speech-language pathologist. A therapist can help with anxiety and other stuttering-related issues, allowing a person who stutters to focus on overcoming their speech difficulties. A strong therapeutic relationship is the most important factor in therapy’s success. Research also shows specific techniques can help with stuttering-related anxiety. Exposure therapy may help people who have anxiety about stuttering in specific situations, such as on a date or while at a conference for work. Cognitive-behavioral therapy (CBT) can curb social anxiety by helping people identify, correct, and eventually prevent automatic self-defeating thoughts. Even for people who continue stuttering, therapy can restore a sense of self-worth. Addressing the anxiety stuttering causes may prevent it from getting worse. Stuttering does not have to undermine a person’s quality of life or ability to succeed. It’s just one of many human differences. For many people who stutter, therapy offers a path out of shame and isolation and into confidence and better relationships. With the right support, people who stutter may no longer see their stuttering as a deficit or something to fear.